There’s a war going on outside no man is safe from. Mobb Deep used these lyrics to describe life on the streets and how only the strong survive when it comes to a life riddled with things like crime and drugs. 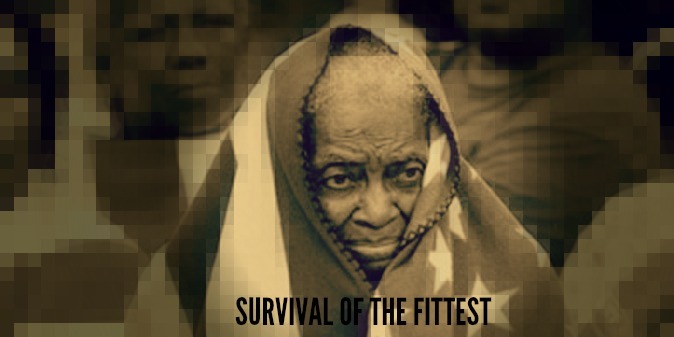 But I say, you gotta be fit to survive not just in the streets, but virtually everywhere and in every facet of life. We are in the midst of an HIV epidemic in many major cities across the nation. Although we have come a long way in HIV treatment and those who are positive with the virus have the ability to live long lives – poverty and miseducation in the black community are just a few of the factors contributing to the overrepresentation of the virus in the black community. More and more evidence of police officers abusing their power is surfacing – in the form of violence against black bodies caught on cell phone video. More of us are going to college, but even more of us find ourselves in debt and degreeless. The media tends to focus more on stereotypical welfare queens and men carelessly spreading their seeds – and less on black women PhDs and black fathers who go above and beyond for their children. We live in a world where our youth are using rap lyrics to dictate their lives – aspiring to sling on the corner, cop bodies and pop Mollies – instead of taking music simply as entertainment. Our bodies are more likely to be unhealthy, as diabetes, high blood pressure and other lifestyle-based ailments pervade our families and our communities. And our mental health bears the brunt of all these things and more, as our culture often teaches us to minimize our pain and maximize our physical, mental and emotion loads. It’s time to do something different, ya’ll. Apparently what we’ve been doing as a collective has NOT been working. It’s time to seriously arm ourselves for war. The books are our weapons – let’s use them and use them wisely, because the brain is a terrible thing to waste. Let’s stop the whole if you want to hide something from a black person, put it in a book lie we’ve been living. Our families, our communities are our platoons. We are only as strong as our weakest player – with that being said, let’s not let a lack of uplift be our downfall. Our love for ourselves is the best ammunition known to man – our want for better, our interest in education, our investments – not only in our businesses, but also in our health and the health of others. Our elders are our wisest soldiers. Let’s listen to them, because more times than not, many of them have been through the same things we’re struggling with and then some. Let’s let them help us guide our steps. Our children are our most precious soldiers. We have to protect them and lead them at all costs – with school, with finances, with relationships and everything else under the sun. They’re going to be holding down the front lines in our place in the near future. And finally, our perseverance is our armor – our trauma has trained us for the trenches and our pain protects us in the line of fire . What hasn’t killed us has only made us stronger – it’s in our blood to stand tall when the going gets tough. The casualties are adding up. Are you armed for war?